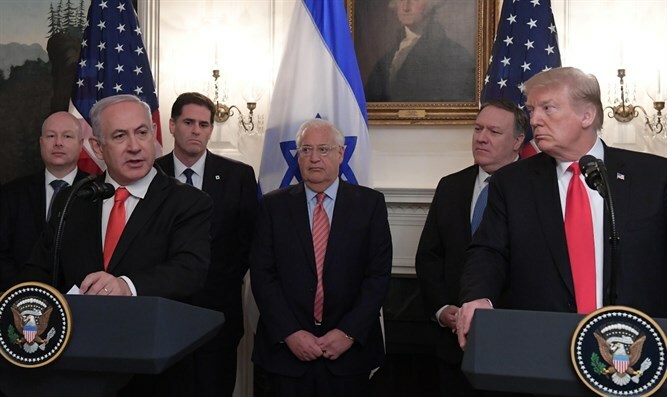 With all gratitude to President Trump, the “Deal of the Century” is dangerous to both Israel and the US. US President Donald Trump is a great and sincere friend of the People of Israel and the Jewish People. His clarity and courage on behalf of Israel make him the greatest friend Israel has had among US Presidents since Harry Truman recognized us, and since Richard Nixon provided the arms to save us from dire straits in the Yom Kippur War. It is precisely because of the gratitude that we feel towards President Trump that we would ask him, again both as our friend and the guardian of the geo-political interests of the US, to keep the “Deal of the Century” in his desk drawer. To state it simply, the much conjectured-upon Deal would endanger Israel, hurt US interests and not find any traction in the Arab world, especially among Palestinian Arabs. As grateful admirers of his efforts, we owe the President the duty of warning him that no good will come from a round peg in a square hole attempt at wishful diplomatic thinking. Let us remember that the key steps President Trump has taken enshrine a reality that has long existed. Jerusalem has always been our capital, and the Golan has been in our control substantially longer than it was ever nominally part of Syria. But a deal that would divide Jerusalem and remove Israel from its ability to control the military and security situation in Judea and Samaria would present a new and dangerous reality. It is a dangerous reality because it would not be part of an agreement between the US and Canada or Norway and Sweden. Rather, it would require high stakes moves on Israel’s part, moves on the ground, in exchange for pledges and promises that would not be worth the paper they are printed on. Does any one really believe that the Palestinians would ever relinquish their so-called Right of Return, or accept Jewish sovereignty over land once under Muslim control? We ignore, at our peril, the oft stated convictions to the contrary by Palestinian leaders. This clear understanding of where the Palestinians are coming from is why there is overwhelming consensus among Israelis – across the entire political spectrum – that we have no partner for peace. We cannot shake our own hands, and only a delusional or self-destructive person would think otherwise. Nothing good will come from bandying about fanciful notions of dividing Jerusalem, sharing the control of the Old City, and carving up Judea and Samaria. Such proposals will only result in more blaming of Israel when they inevitably don’t take place. And they should not take place. Not just because the Palestinians will never agree to them, but also because we, the People of Israel, should not agree to them. They pose a mortal threat, with no compensation that would make taking the risk of them seem at all prudent. I for one am very respectful of President Trump’s desire to make a difference and to advance the cause of the peace in a region where it is merely an aspiration and rarely a reality. So here is my suggestion: offer proposals that establish workable arrangements between sovereign Arab countries and Israel. President Trump should spend his energies and political capital into convening and congealing a pro-Western axis of Sunni nations together with Israel. Here the US would be building on work that it has already undertaken and would be benefiting from the tail wind created by the Iranian threat to the region. President Trump should spend his energies and political capital into convening and congealing a pro-Western axis of Sunni nations together with Israel, that can serve as a countering force to both Iranian and Turkish imperialism. This WOULD be a Deal of the Century and would represent a geo-political coup worthy of Metternich. I believe that the conditions are ripe for such arrangements and accommodations, none of which need touch on the third rail of the Palestinian situation. Right now, there is a gnawing fear that the gestures that Trump has taken are merely the first shoe to drop, and that there will be payback in the form of concessions that Israel will be asked to make. This would be a shame, because these steps were right and appropriate in and of themselves. My hope is that President Trump and the astute people around him will build on the steps he has previously taken, not by using them as collateral for self-destructive proposals concerning the Palestinians, but as credibility enhancing moves in the name of creating a new regional reality. It is also important that we here in Israel encourage such thinking by the US administration. All Israeli political parties who purport to care about Israeli security should be full throated in their urging that the Deal not be offered. And if it is offered, then it should be rejected. The Chinese curse of living in interesting times need not mean only negative things. We are indeed in interesting times and they bring previously inconceivable opportunities with them. Regional concordance of Sunnis and Israelis is enough to qualify as its own Deal of the Century. Let us hope that President Trump can take a victory lap from such a Deal, while avoiding the quicksand of a delusional and dangerous Deal with the Palestinians. 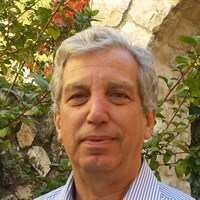 Mr. Altabef is Chairman of the Board of Im Tirtzu and a Director of the Israel Independence Fund.